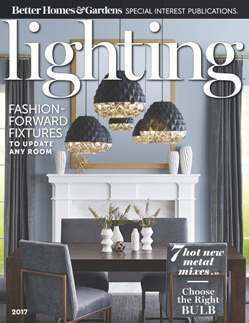 The 2017 issue of Lighting magazine, produced by ALA and Better Homes and Gardens, is packed with dazzling photos and trendy tips to beautify your home. 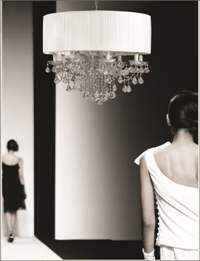 Pick up a complimentary copy at an ALA-member showroom or view it here. Ruffles – Detailing makes a difference in distinctively designed fixtures like Vintner Blanc fromCurrey & Company, shown lower right. 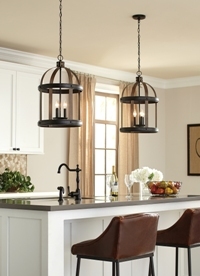 Neutrals – Creams, ivories, even barely-there browns offer subtle color variation in Kichler’s Cahoon fixture, below. Florals – Organic shapes and forms add visual interest, as depicted by Perlata fromEurofase, at right. Glam – Sparkly crystals pair with smooth lines and luxurious fabric to create Crystorama’s Brentwood chandelier, upper right. 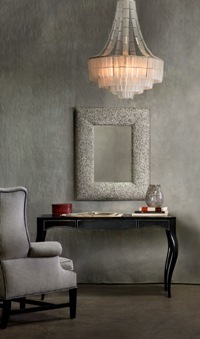 Conversely, sleek and classic can also give a glamorous vibe, as exemplified in Hinkley’s Hampton fixture, above left. See the latest in home lighting trends and décor in design videos from ALA.
Find your closest ALA-member lighting showroom here. Now that the weather is getting warmer, make sure your fan is rotating in the right direction to keep you comfortable. In the summertime, run your fan counterclockwise to push the air straight down. Reverse that to clockwise in the wintertime to pull the air up toward the ceiling for a warmer room. Wondering where to find the most up-to-date, high-quality ceiling fans? 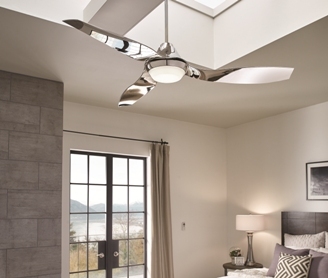 You can find fans as well as lighting and expert advice at an ALA-member showroom. EXPERT ADVICE: Want more ideas? Ask a lighting professional..
My kitchen renovation includes a 5x7½-foot island with a main sink and two barstools on the long side and two barstools on the shorter side. We have a vaulted ceiling, and are considering two lantern-style pendants, possibly 15-16 inches wide. Should we center the pendants on the center of the island or move them more toward the longer side? —Debbie J. 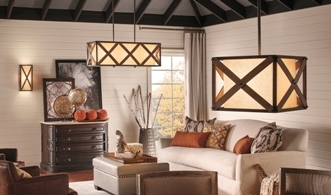 In most applications where pendants are placed above islands, it is more common to place the pendants in a symmetrical configuration centered directly on both the long and short sides. However, this is ultimately a personal decision that is dependent on your priorities and on the visual relationship of the pendants to the space. If the island is going to be used for reading or working, then placing the pendants closer to the bar stools will be useful. However, if persons seated at the island will be there mostly for eating and conversation, it will be less important to move the pendants closer to the seating. Visit an ALA-member showroom to talk to an expert about the best lighting type and placement for your room.